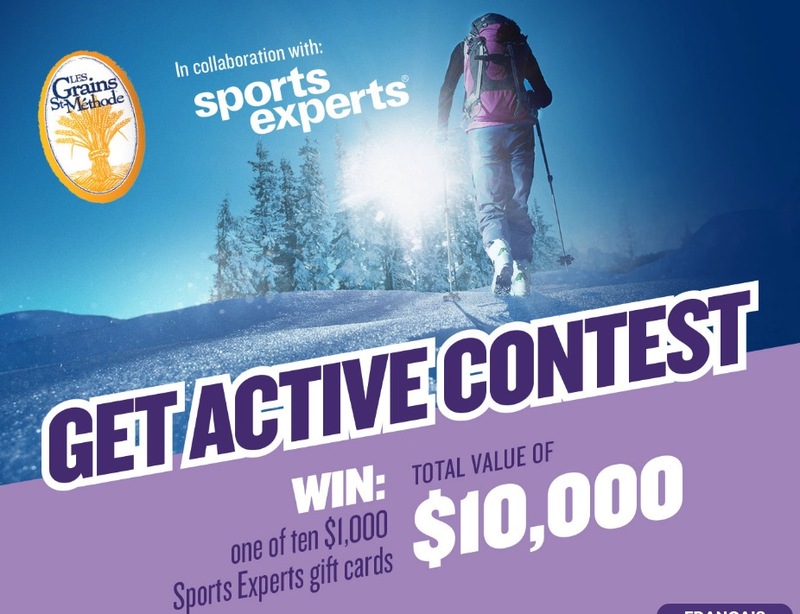 Enter now the St-Méthode Bread Get Active Contest 2019, in it, you could Win 1 of 10 $1000 Sports Experts gift cards. This contest is open to all legal residents of Canada who have reached the legal age of majority in their province or territory of residence. To enter you first need to get a bar code number from any St-Méthode participating product, then visit the official contest webpage located at concoursstmethode.com and completely fill out the online entry form with all the required information including name, last name, address, city, province, postal code, age, gender, phone number, email address and your answer to a skill-testing question. Contest closes on March 9, 2019 at 11:59 pm EST. Winner will be selected by random draw from all eligible entries. There are ten prizes to win, each consists of one Sports Experts $1,000 gift card. The St-Méthode Bread Get Active Contest 2019 will run from 10:00 AM EST on February 4, 2019 to 11:59 PM EST on March 9, 2019. The draw will take place on March 11, 2019. Winner will be contacted by phone within 7 days of the draw.